Impact4Health is dedicated to reducing healthcare disparities through healthcare innovations, training, and effective community engagement. We do this with a unique array of talented experts who join together on project teams tailored to our client requirements and targeted project goals. 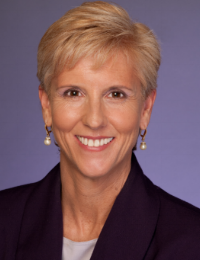 Shirley Engelmeier is Founder and CEO of InclusionINC, the parent company of Impact4Health. Shirley has provided consultations and training in diversity and inclusion for over 20 years to the Fortune 100 companies across every sector. Shirley is author of Inclusion as a Business Strategy and Becoming and Inclusive Leader--two key works on the importance of creating a workplace culture of inclusion that values the unique contributions and perspectives of all staff. Health is a state of complete physical, mental and social well-being, and not merely the absence of disease or infirmity. Dr. John Capitman is a social psychologist specializing in how public health policies and practitioner decisions create and sustain inequalities in health and wellbeing. In addition to his consulting practice, John is the Executive Director of the Central Valley Healthy Policy Institute and the Nickerson Professor of Public Health at California State University at Fresno. His current research focuses on how social, economic, and environmental factors influence population health in the San Joaquin Valley and increasing the capacity of local organizations to address these factors. A graduate of Duke University, John holds a doctorate in social psychology. Holly B. Faust, Senior Associate, brings over 20 years of nonprofit and for-profit executive experience to Impact4Health. Prior to joining I4H, she served as Executive Director for two mid-size San Francisco Bay Area nonprofits and as CFO/Development Director for a national nonprofit, leading each to significant growth. As a corporate real estate development executive Ms. Faust managed multi-million-dollar portfolios and completed 3,000 units of housing including 1,700 subsidized units for low-income people. As a consultant, Ms. Faust has worked with over 100 schools, nonprofits, and government agencies in the fields of health care, education, supportive housing/homelessness, and youth development, supporting these organizations with strategic, financial, personnel, marketing and fund development planning and assessment. With Impact4Health, Ms. Faust blends her skills with program design, project management, public-private partnerships, facilitation, and finance to cultivate pay-for-success deals and to promote health equity and collective impact. Valerie A. Batts, PhD, is Executive Director and Co-founder of VISIONS, Inc. She leads the consultation and training components of the company. Author of Modern Racism: New Melody for the Same Old Tune, andIs Reconciliation Possible: Lessons from Combating Modern Racism, Dr. Batts has written extensively on modern racism and multicultural organizational change strategies. In a joint venture with Impact4Health, Valerie is part of the the design and implementation team that provides The Healthing Edge, a unique training for healthcare teams. Susan Rae Ross has 20 years of experience working in both the US and third world nations where she has forged effective multi-sectoral partnerships to promote sustainable health initiatives. Prior to her consulting work, Susan was CARE's Director of Reproductive Health and demonstrated leadership in the field of maternal and newborn health. She also has served as a Health Advisor for the US Agency International Development (USAID) in several countries Susan holds an MBA from Purdue University, an MPH from the University of Illinois and a BS in Nursing from State University of New York, Plattsburg.